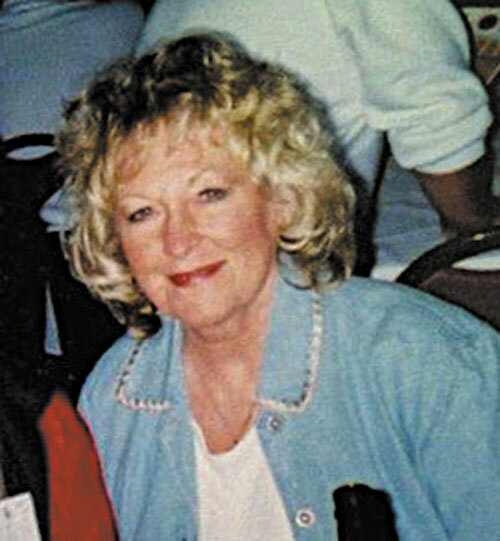 Jacqueline S. Kinn, 77, of Tiffin, passed away at 11:55 a.m. Thursday, April 11, 2019, at Mercy Health – Tiffin Hospital. Jackie was born May 12, 1941, in Washington D.C., to Jack and Norma (McDuffie) Shartzer. She married Norman J. Kinn June 24, 1974, in Indianapolis, Indiana, and he survives in Tiffin. Other survivors include her children, Michael S. Porter of Tiffin, Derek S. Porter of Tiffin, Kimberly M. Stump of Bettsville, Brett A. (Kathryn) Porter of Dublin, Bruce A. (Carla Amory) Porter of Tiffin, Barry V. Porter of Toledo, Kelli S. (Eric) Shaw of Tiffin and Jackie S. (Brian) Makowski of Findlay; 16 grandchildren; six great-grandchildren; three brothers, Robert Shartzer of Myrtle Beach, Jack Shartzer of Wardensville, West Virginia, and Albert Phalen of Chicago; three sisters, Sandra Sikes, St. Pete’s Beach, Florida, Brenda Shartzer of Wardensville, West Virginia, and Mary Phalen of Chicago. Jackie was preceded in death by her parents and a brother, Ralph Shartzer. Jackie was the owner/operator of Ohio Independent Title. She was a member of Calvary Baptist Church where she also taught Sunday School. Jackie was a member of VFW, AMVETS and American Legion, all of Tiffin. Visitation for family and friends will be 10 a.m. Tuesday, April 16, 2019, until the time of the services, at the funeral home. Funeral for Jackie will begin at 11 a.m. Tuesday, April 16, 2019, at Engle-Shook Funeral Home & Crematory, Tiffin. Burial will follow in Seneca Memory Gardens.